When a film takes in a quarter of a billion dollars at the box office there is more than a whiff of franchise in the air. That’s what the writing/directing team of Phil Lord and Christopher Miller — the same pair who served-up Cloudy with a Chance of Meatballs — are faced with as a result of the mega-hit status of their latest, The Lego Movie. This film is a “building” block for a studio franchise series! That’s right, with $251.6 million in domestic ticket sales — that’s a lot of LEGOS no matter how you stack’em —you can pretty much bank on a sequel at some point in the next couple of years. In the meantime, Warner Home Video has announced that June 17 will be the street date for a three-SKU home entertainment product offering. The ARR for that mid-June release date works out to an ARR of 130 days. 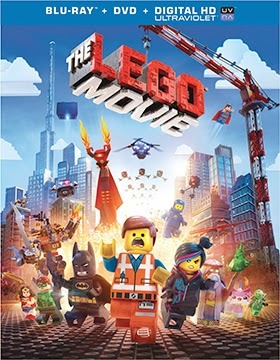 Planned are a double-disc DVD edition, a Blu-ray/DVD Combo Pack and the “Everything is Awesome Edition,” which includes both 3D and 2D presentations of the film (on two separate Blu-ray discs), plus a DVD and (drum roll please) an exclusive LEGO Vitruvius minifigure and a 3D Emmet collectible photo. Mill Creek Entertainment announced its first wave of June product offerings this past week and collector’s will certainly be lined up early on June 10 to take advantage of some very sweet deals that will be streeting on that day. 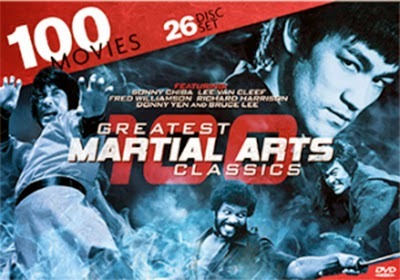 If movies, to own, for just 45 cents a piece sounds like a great deal, then the June 10 DVD debut of the 26-disc set titled 100 Greatest Martial Arts Classics is exactly that … a great deal! Included in the collection that features over 140 hours of programming are the Black Cobra trilogy (starring Fred Williamson), Shaolin Deadly Kicks (with Tao-liang Tan and Lo Lieh), The Real Bruce Lee, Mantis Under Falcon’s Claws and the Ninja Death trilogy. For a complete listing of all 100 films included in this collection go to: 100 Greatest Martial Arts Classics. Also heading to retail on June 10 is the 25-disc collection titled 100 Greatest Cult Classics. Included here is a collector’s potpourri of film delights and guilty pleasures that range from The Beach Girls and Escape from Hell Island to Horror of the Zombies and Beast from the Haunted Cave. Galaxina, Embryo, Don’t Look in the Basement … the list goes on and on and for just 45 cents per film in the collection how can anyone say no to this deal!!! For a complete list of all the films included in the June 10 release of 100 Greatest Cult Classics go here: 100 Greatest Cult Classics. Also heading to the collector’s market on June 10 are 50th Anniversary Series: Behold a Pale Horse and 75th Anniversary Series: Golden Boy. On the TV-on-DVD collectible front look for the June 3 release of the five-disc set of Highway to Heaven: The Complete Fourth Season and on June 24 Mill Creek Entertainment will be releasing the four-disc package of Party of Five: The Complete First Season. It has been quite awhile since we’ve seen Angelica, Tommy, Chuckie, Lil and Phil in action on DVD, so it is exciting news indeed that Paramount Home Media Distribution will be bringing two new DVD releases featuring the lovable Rugrats on July 8. Titled Rugrats: Outdoor Shenanigans! 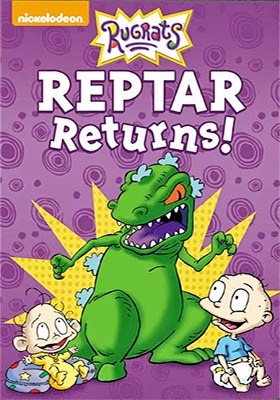 and Rugrats: Reptar Returns!, these DVD collectibles are priced at just $9.98 and feature over an hour’s worth of animated action. Also heading to DVD from Nickelodeon on July 8 are two new compilation collections featuring SpongeBob SquarePants, The Ninja Turtles and other Nickelodeon franchise series. Each SKU is also priced at just $9.98. The DVD releases of Heroes in Action and Robot Invasion each showcase five popular episodes featuring the aforementioned characters. 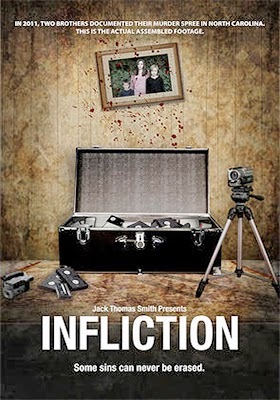 Virgil Films & Entertainment announced this past week that writer/director Jack Thomas Smith’s latest film, Infliction, will be heading to the DVD market place on July 1. Using “found footage” as the overall story arch, filmmaker Jack Thomas Smith (Disorder) takes us for a ride-along (figuratively speaking) with two brothers (played by Jason Mac and Elliott Armstrong) who go on a killing spree. 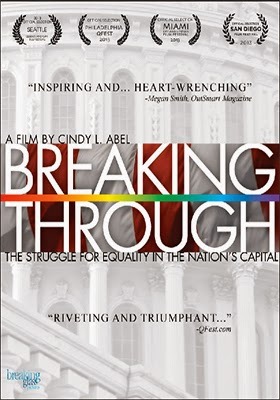 Filmed in and around the Charlotte, North Carolina area, at first their actions seem senseless — simply killing for the sake of killing — but as Smith’s horrific tale unfolds the backstory is filled in. Their targets are not as random as they seem and even though the motivations remain on the unhinged side you can readily see how monsters are made in a society where children are allowed to fall through the cracks either deliberately or through willful neglect. The early buzz for Infliction has been good — test and film fest screenings — and with the July 1 release date Virgil Films has plenty of time to beat the promotional drums for this one. For genre fans, especially with Smith’s track record, Infliction is certainly worth a look. 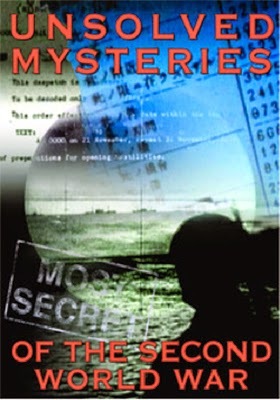 On May 13 (timed perfectly for Memorial Day and D-Day anniversary promotions), Eagle Rock Entertainment will be releasing a three-disc DVD collection titled Unsolved Mysteries of the Second World War. Subjects explored in this collection range from Pearl Harbor, the decisions made at Dunkirk, the secret weapons of Hitler and Hitler’s death. The critics slammed it when it opened theatrically. But with $89.5 million in domestic ticket sales director Jaume Collet-Serra’s Non-Stop was a favorite with theatre-goes and pretty much critic-proof. This Liam Neeson thriller will be making the move to the home entertainment market place on June 10 as a stand-alone DVD edition as well as a Blu-ray/DVD Combo Pack (with UltraViolet). The ARR comes in at 102 days. 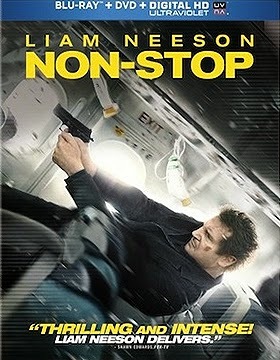 Bonus features include the featurette titled “Suspense at 40,000 Feet,” with an additional featurette titled “Non-Stop Action” exclusive to the Blu-ray SKU. The product offerings for the Criterion Collection in July fall into two groupings. DVD releases (of recently release Blu-ray/DVD Combo Packs) and new Blu-ray-DVD Combo Pack presentations. 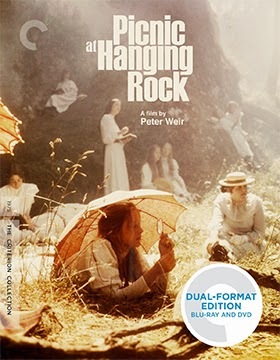 First the DVD selections, which begin with the July 8 release of the double-disc sets of both Aussie director Peter Weir’s landmark 1975 film, The Picnic at Hanging Rock and director Howard Hawks’ 1948 Western masterpiece, Red River, starring John Wayne and Montgomery Clift. Next up, on July 15, are both DVD and Blu-ray/DVD Combo Pack offerings of auteur filmmaker David Cronenberg’s 1981 sci-fi thriller, Scanners. Bonus features here include a newly-prepared documentary on the making of the film titled, “The Scanners Way,” which focuses on the special effects used in the film. French New Wave filmmaker Robert Bresson’s 1959 film, Pickpocket, will be also be available on July 15 as a Blu-ray/DVD Combo Pack (and as a repriced DVD product offering). 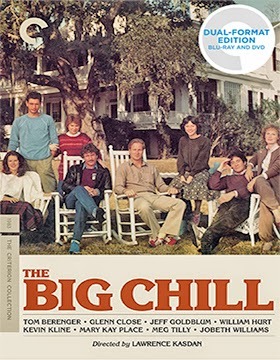 On July 22 look for Norwegian filmmaker Erik Skjoldbjærg’s 1997 film release of Insomnia as a Blu-ray/DVD Combo Pack … and the following week, July 29, the Criterion Collection will be delivering a newly restored Blu-ray/DVD Combo Pack edition of his 1983 gem, The Big Chill. Lastly, July 22 will see the “Essential” DVD collection of the selective works of French director Jacques Demy. Being released as The Essential Jacques Demy is a 13-disc Blu-ray/DVD Combo Pack and features Lola, Bay of Angels, The Umbrellas of Cherbourg, The Young Girls of Rochefort, Donkey Skin and Une Chambre en Ville.